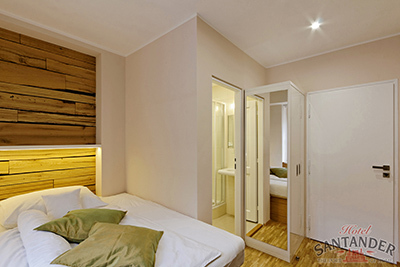 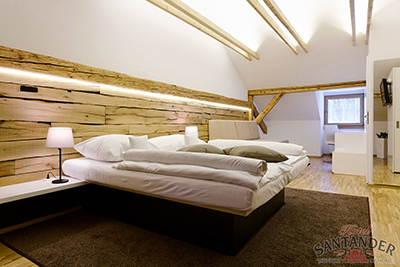 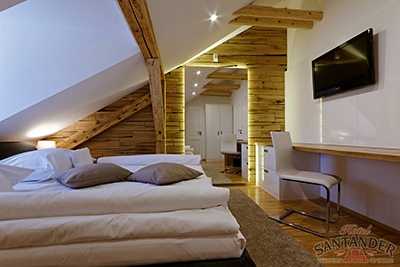 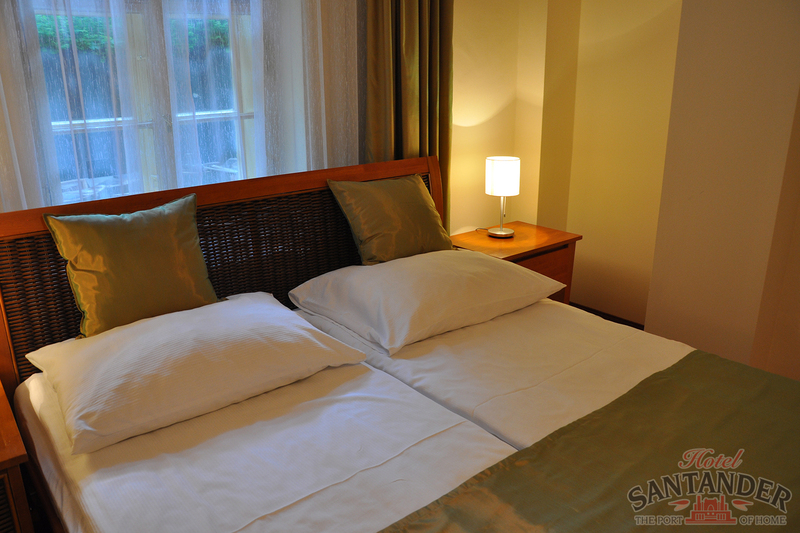 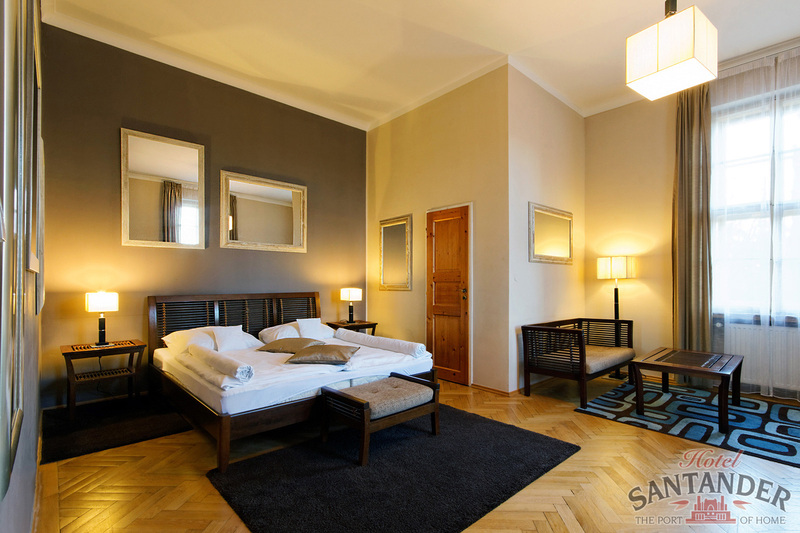 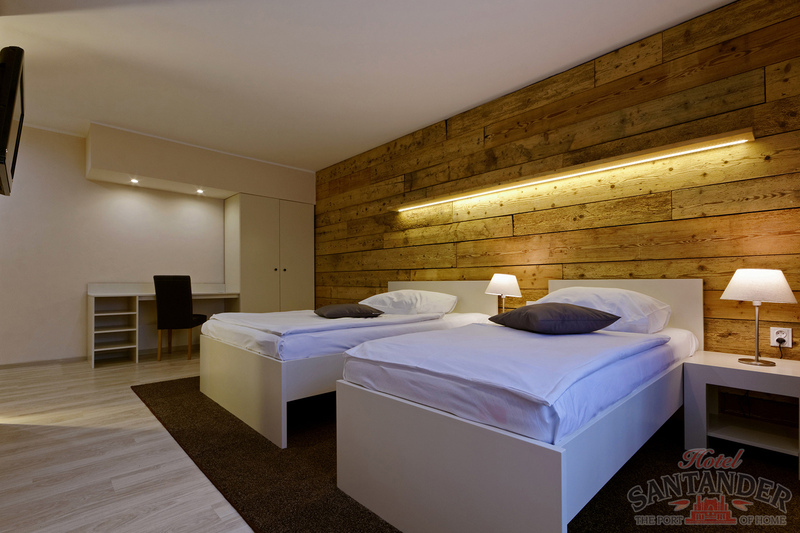 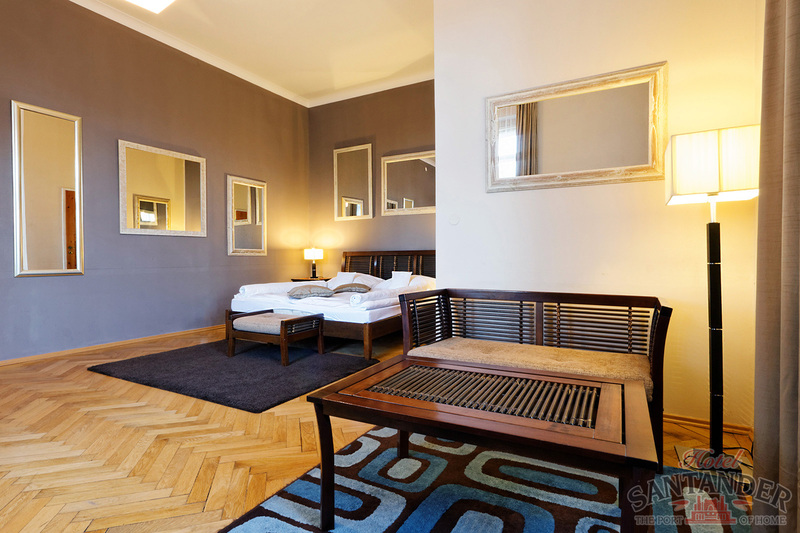 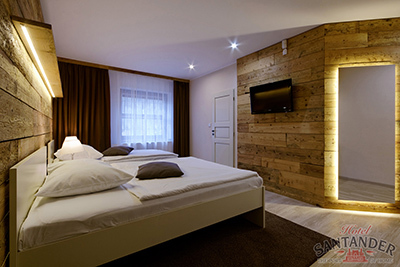 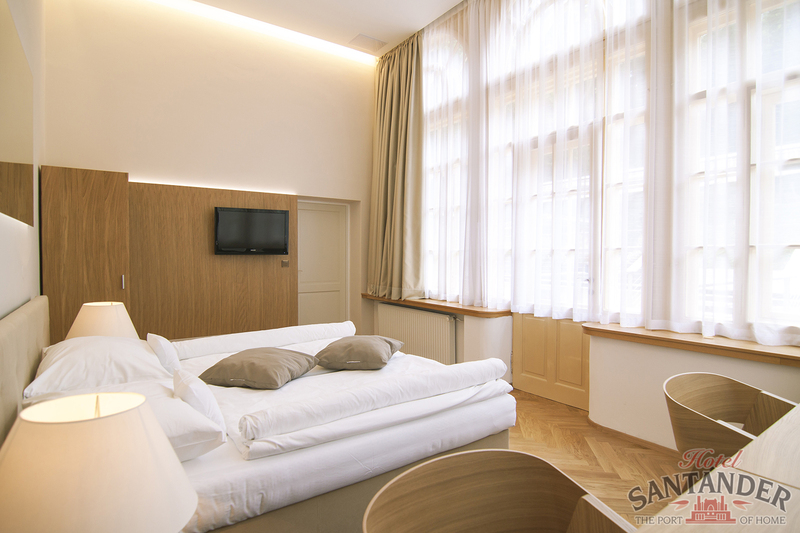 We offer newly renovated standard rooms in the original building of the Hotel Santander. 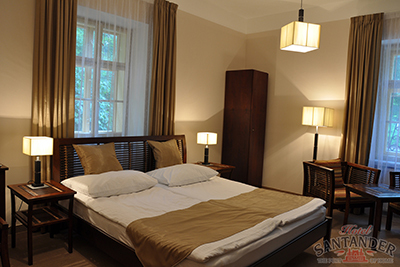 The interior of the rooms are decorated to correspond to the style of classic villa of the the Santander. 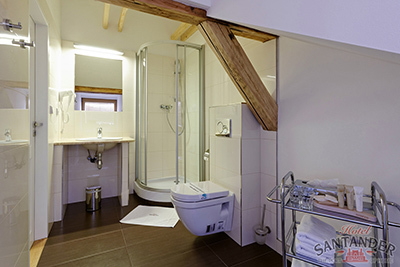 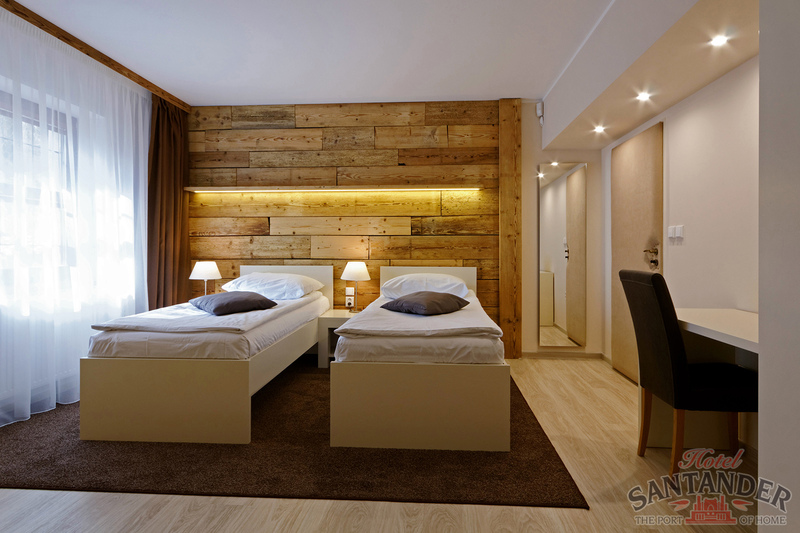 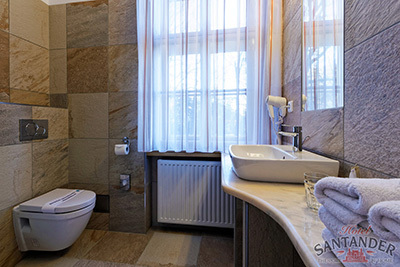 Each room has a Smart TV, a safe and a private bathroom with a sanitary facility. 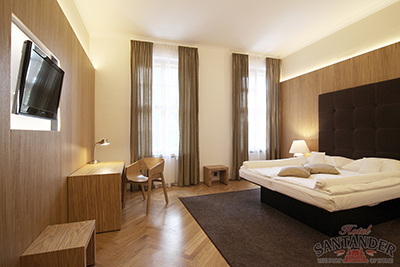 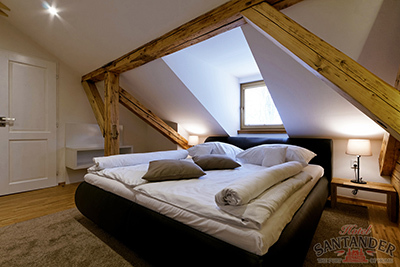 The advantage of these rooms is a great variety, so every room is different. The price includes accommodation, parking in the hotel complex, WiFi connection and breakfast.